How crazy cool is this project? 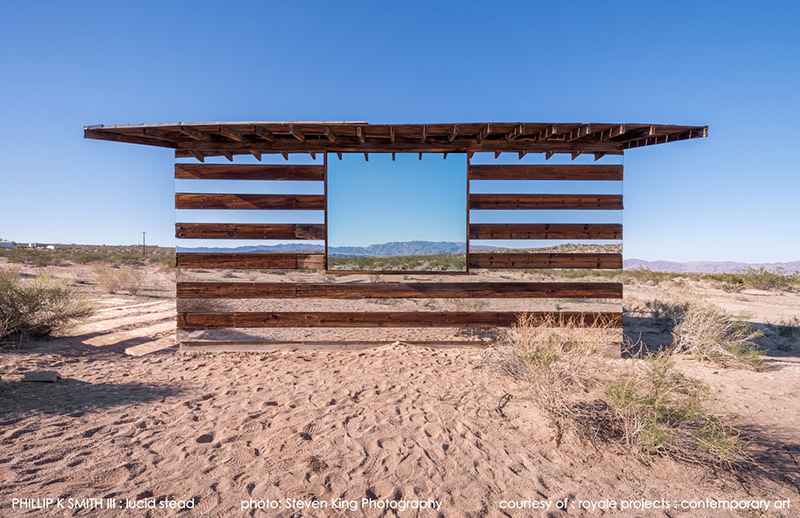 Optical illusion meets installation art meets land art—it's an amazing new project by artist Phillip K. Smith III. 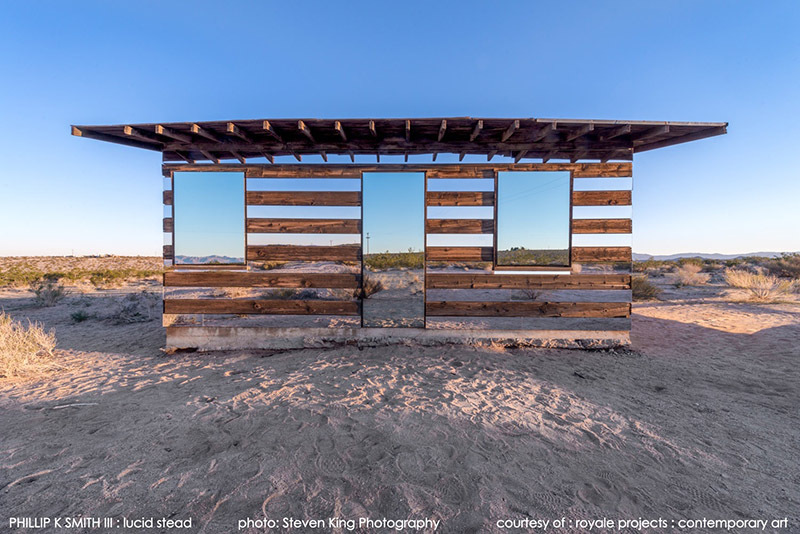 Created in the deserts of Joshua Tree, California "Lucid Stead" features a 70-year-old shack that has been retrofitted with sparkling panes of mirrors in the windows, doors and siding. 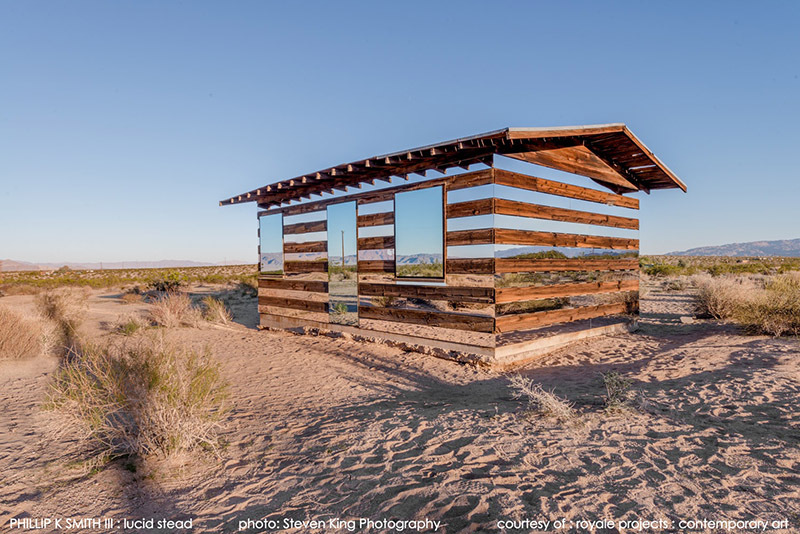 The mirrors reflect the landscape back at the viewer and make the structure look transparent, as if the alternating slats were hovering in the air. 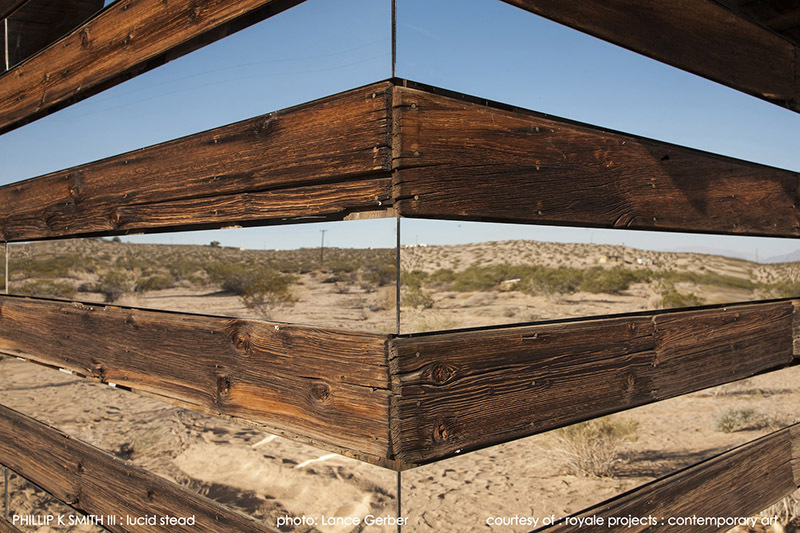 Its an incredible illusion that fits right in with the hallucinatory heat of Joshua Tree. 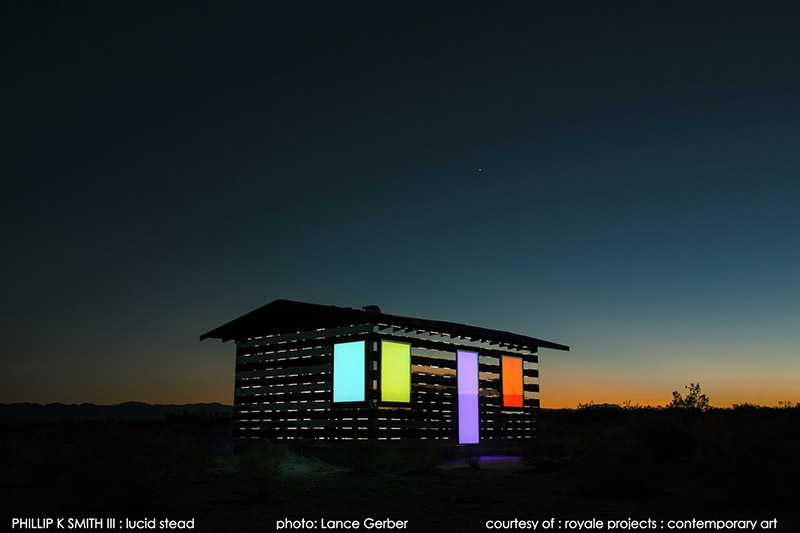 Read more about the project at Colossal here.